CHICAGO, Illinois, September 4, 2018 -- What if you could stop a machine before a catastrophic failure? What if you could predict problems—before they cause downtime? What if you could diagnose and resolve problems for your customers without ever leaving your office? MachineMetrics is answering these questions with the release of their latest application: MachineMetrics Service. 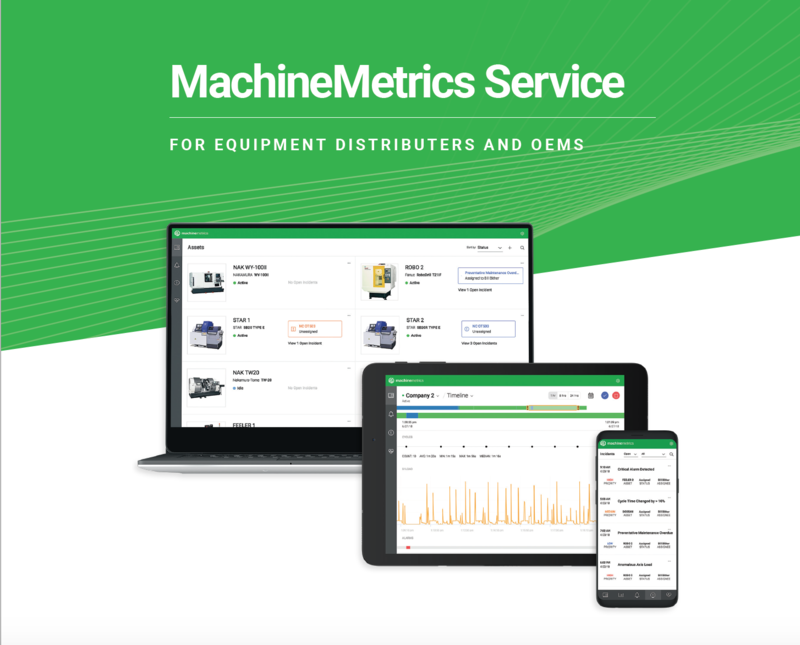 MachineMetrics Service is the industry's first AI-driven remote machine monitoring solution designed for CNC OEM’s and Equipment providers; a predictive analytics application on the MachineMetrics Industrial IoT platform that allows service teams to remotely monitor and manage machine assets in the field and at customer sites in real-time. Using MachineMetrics Service, equipment manufacturers can transform their approach to service with the ability to see, understand and take action on their customer’s real-time machine data from anywhere at any time. The application will debut and be on display at next week’s International Manufacturing Technology Show in Chicago. When customers require after-sales service, they expect their problem to be solved with minimum delay. Too many service calls require expensive and time-consuming on-site visits. Thus, equipment providers require remote access to monitor and assist with user operations to troubleshoot problems, resolve service events and monitor preventative maintenance tasks, all without leaving their office. With MachineMetrics Service, any machine maker or distributor can improve their customer service by resolving machine problems without the necessity of an on-site visit. 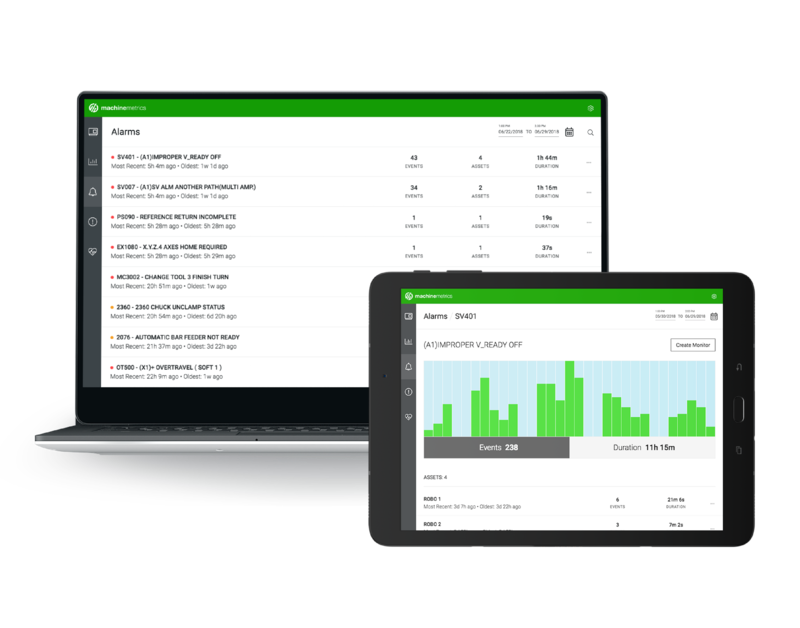 Service managers and technicians can remotely monitor, manage, diagnose and resolve customer’s machine issues for any piece of connected equipment in the field and in real-time using MachineMetrics cellular edge device. The historical and real-time machine data collected allows equipment manufacturers to gain insight into customers’ equipment health and condition, identify new service opportunities with analytics and reporting, predict and deliver early warning of potential equipment failures, highlight elevated risk areas that lead to machine downtime, or even determine to take preventative action before it impacts a customer’s machine performance. How it works is actually quite simple: Any equipment provider, OEM or distributor, can install MachineMetrics Edge device on a new machine sold to a customer or retrofit any machine currently in the field. MachineMetrics Edge has the ability to connect to the machine’s PLC and any additional sensors into the electrical cabinet of the machine and allows for the data to be shared with the equipment provider. There’s no need to install on customer’s internal IT infrastructure as MachineMetrics Edge comes with included cellular support. Once installed, the provider can add the device to a list of machine assets accessible via the MachineMetrics Service app and associate that machine with the location of the customer. Once the customer receives the machine and powers it on, that machine will appear active on the provider’s list of assets. Encrypted data is then streamed to the secure MachineMetrics cloud where the data is structured and aggregated to enable visualizations and analytics for service teams to monitor. Access to the historical and real-time data is available through open APIs. Real-time dashboards, historical analysis, and integrations with other systems can be built with these APIs. The MachineMetrics analytics engine will monitor any connected machine’s conditions and other manufacturing data points and initiate an action, such as text notifications when a monitor is triggered such as an alarm state, a limit being exceeded, or any other anomaly in the machine’s health is detected. A rules engine is provided for deploying monitors based on machine condition data and patent pending advanced machine learning algorithms can be deployed for detecting anomalous behavior. Using this data, equipment service providers can notify machine operators to change a tool before it breaks or even notify maintenance managers when an anomaly is detected that could lead to a breakdown. This ability can prevent thousands of dollars of equipment replacement costs and days of downtime, not to mention unearth new service opportunities that were never visible to service teams before. 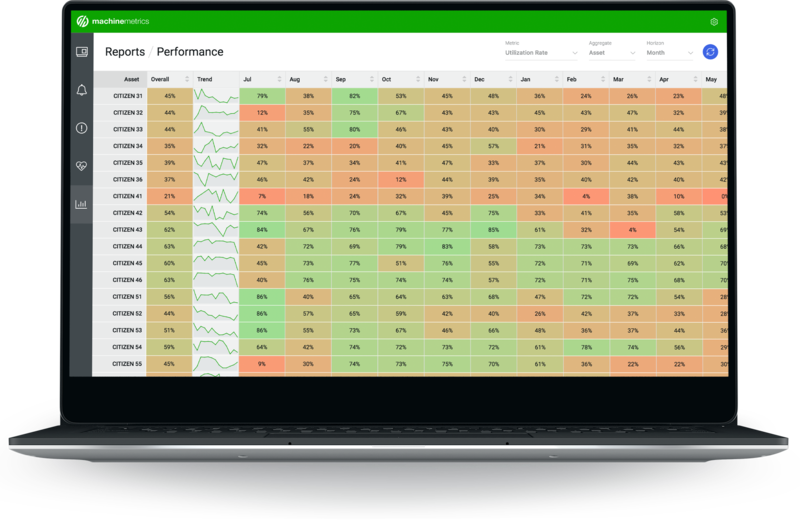 Data from thousands of connected machines allow the MachineMetrics Data Science team to work with service teams to identify trends and develop standard preventative maintenance and repair schedules that benefit both the service team and the customers. So while service teams are focusing on addressing issues that may immediately impact their customers, MachineMetrics is keeping an eye on big-picture issues that benefit both the equipment provider and the end-user. MachineMetrics is an award-winning manufacturing analytics platform for discrete manufacturers. 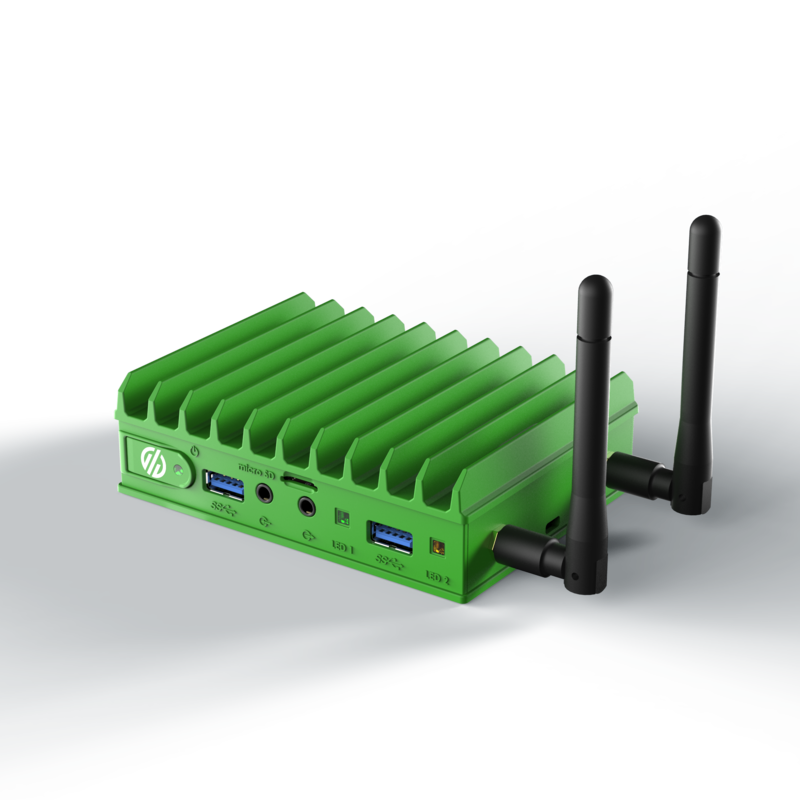 Their Industry 4.0-ready solutions work out-of-the-box to increase productivity through edge connectivity, real-time visibility, deep manufacturing analytics and AI driven predictive notifications. MachineMetrics has simplified Industrial IoT to digitize the shop floor and enable teams to drive decisions with machine data. Now integrated into factories across North America and Europe, MachineMetrics is the fastest growing manufacturing analytics provider in the industry, featuring global customers and partners such as Fastenal, Snap-On Tools, Gardner Denver, TurboCam, Shiloh Automotive, McKinsey and Co., SECO Tools and Tsugami/Rem Sales. Transform your approach to machine service today!